What is the release date for Super Smash Bros. Ultimate? Find out what the release date is for the latest Smash Bros. game on Nintendo Switch. During today’s Nintendo Direct, the latest entry in the Smash Bros. series, Super Smash Bros. Ultimate, was revealed along with its confirmed release date. Highlights from the live stream include the fact that Super Smash Bros. Ultimate is bringing every Smash Bros. character (yes, all of them) back into action. There will also be the inclusion of Ridley! Excited for Super Smash Bros. Ultimate and want to know the release date? Let’s take a closer look! The release date for Super Smash Bros. Ultimate is December 7, 2018. Ultimate will launch on Nintendo Switch and will include every Smash Bros. character along with Ridley and new characters from Splatoon 2. Several of your favorite stages such as Green Hill Zone and Big Blue are returning in Ultimate, with what appear to be new stages as well. There will be amiibo support in Super Smash Bros. Ultimate and there will even be an amiibo for Ridley! Other notable features for Super Smash Bros. Ultimate will support all previously released amiibo, and the game includes support for a new GameCube controller accessory. For more on Super Smash Bros. Ultimate, be sure to recap the reveal from today’s Nintendo Direct, and stay tuned as we’ll be posting new updates on the game as they’re revealed. 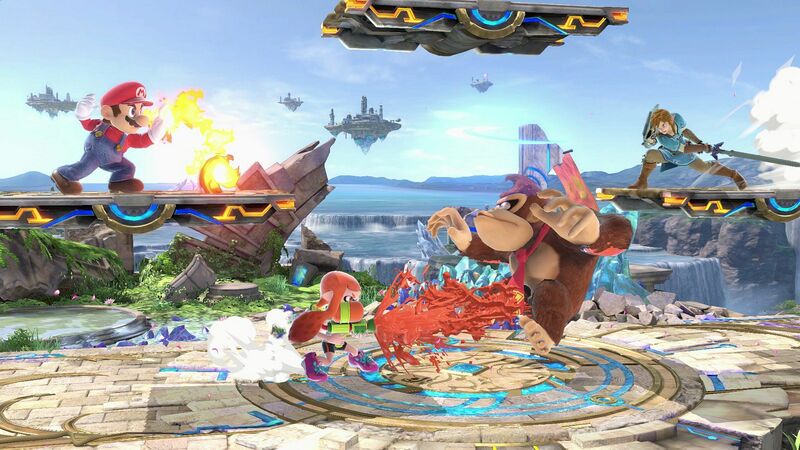 In the meantime, let us know in the comments what you think of the December 7 release date for Super Smash Bros. Ultimate!